Hello everyone! I hope you all had a great week. 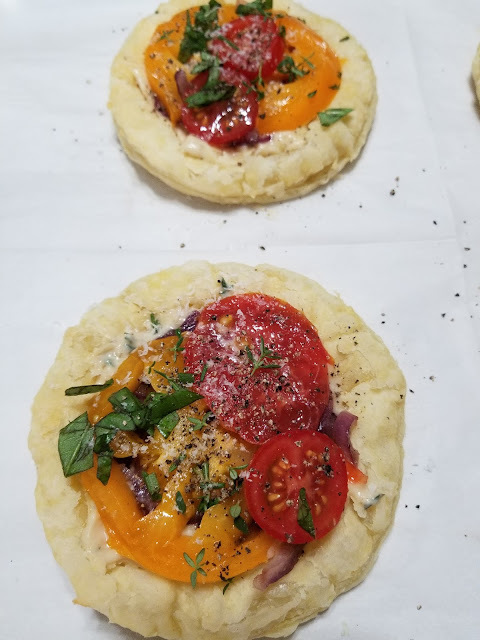 I wanted to pop in today and share an easy and incredibly tasty recipe with you. Sometimes we are in need of a quick bite that packs a punch in flavor and presentation. 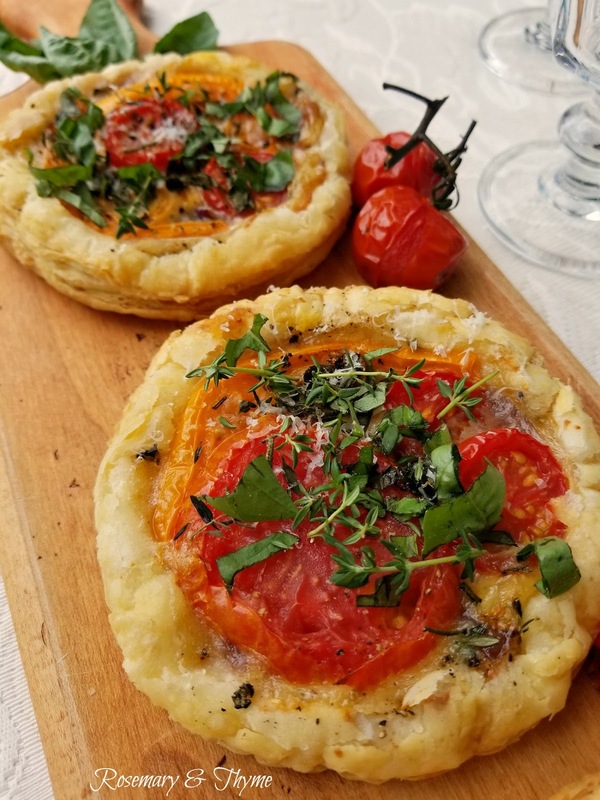 These individual puff pastry tomato tarts perfect for serving during summer, or fall. They are easy to put together, loaded with fresh flavors and a crunch in every bite. 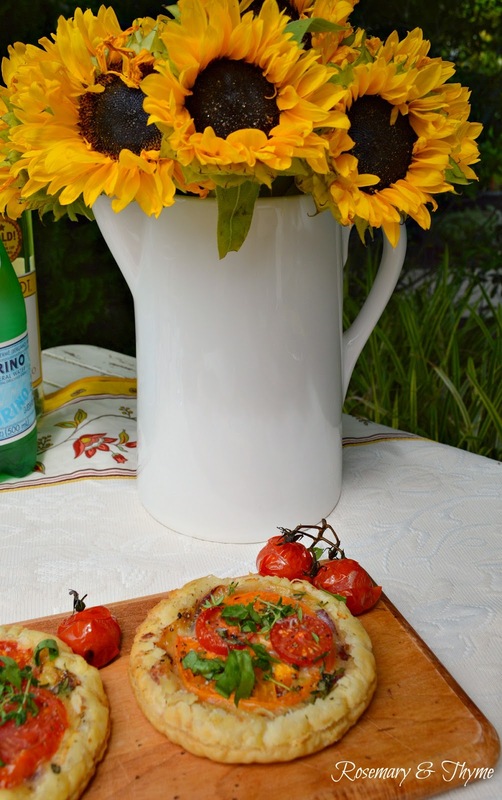 This recipe calls for fresh tomatoes, fresh basil, thyme, and caramelized red onions. 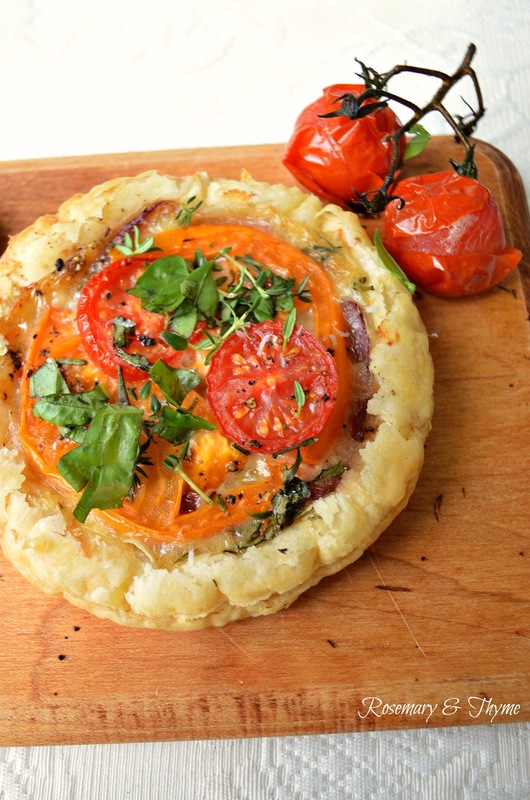 The puff pastry makes it flaky, light and mouthwatering. Slice tomatoes thinly and place on paper towel. Sprinkle with salt. Cut onions and cook in saucepan until caramelized. 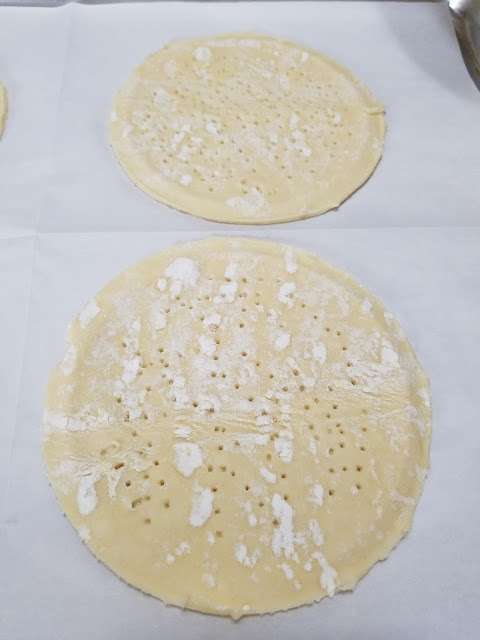 Place puff pastry sheet on top of a wood cutting board and cut into small rounds. I used a saucer as my template. 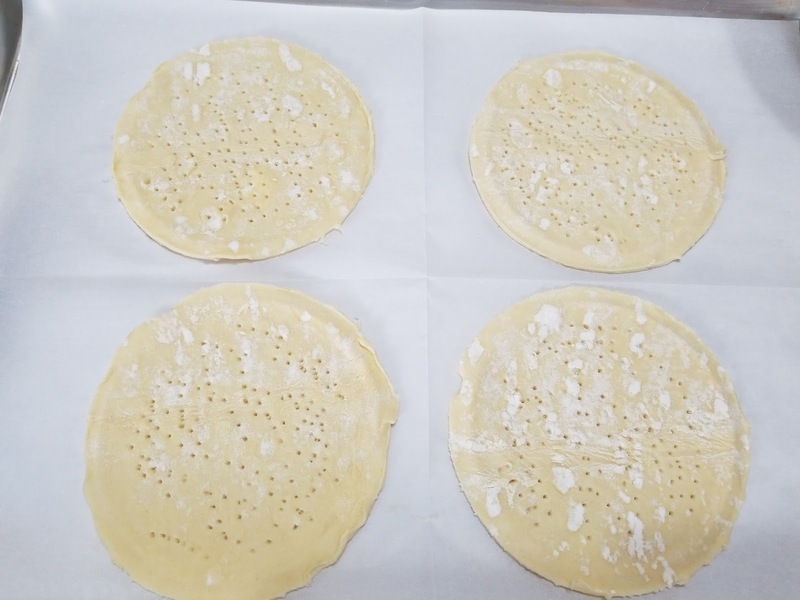 Place on baking sheet lined with parchment paper. Brush puff pastry with beaten egg. Poke with a fork all over. 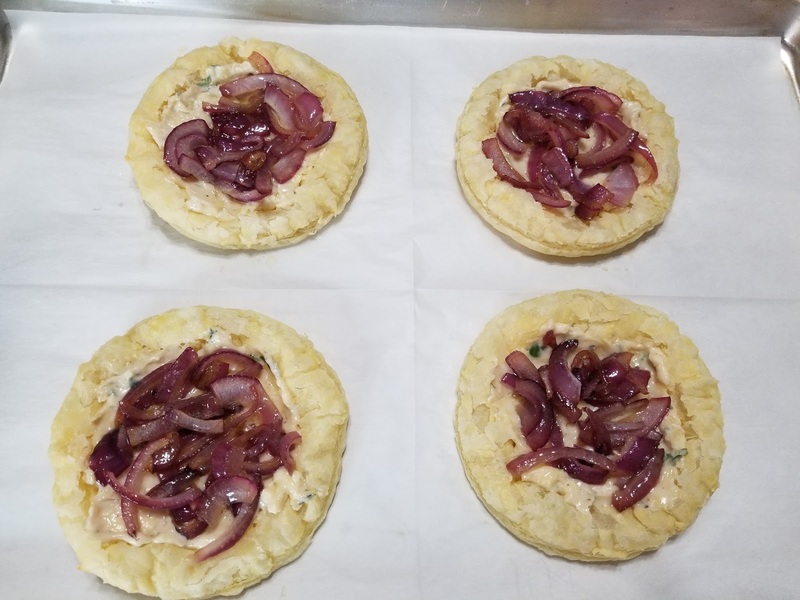 Cover puff pastry with cheese or your choice. I used a combination of goat cheese and parmesan cheese) Be sure to add salt and pepper. Place puff pastry in 425 degree oven and bake for 20 minutes. Let cool a bit. Add caramelized onions, garlic and top with tomatoes and thyme. 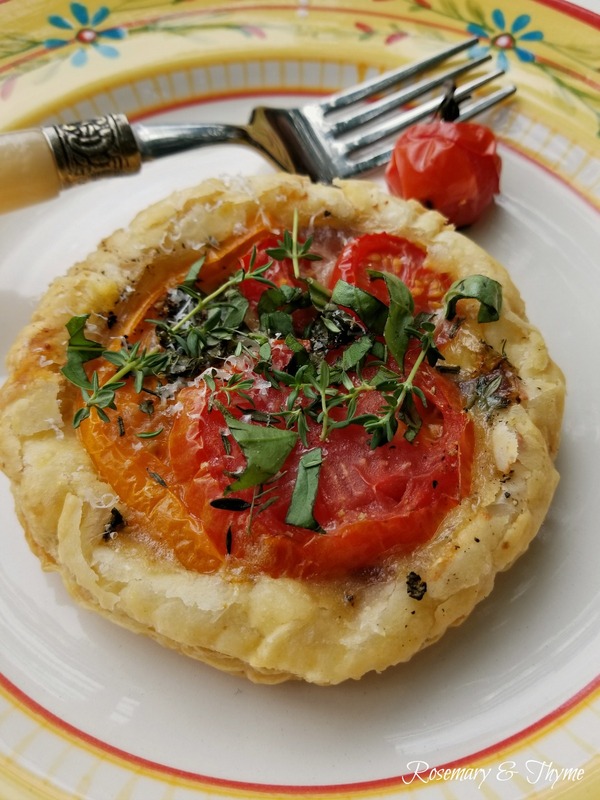 Sprinkle olive oil on tart. Bake the tart for 10-15 more minutes. After removing from oven sprinkle with fresh basil. 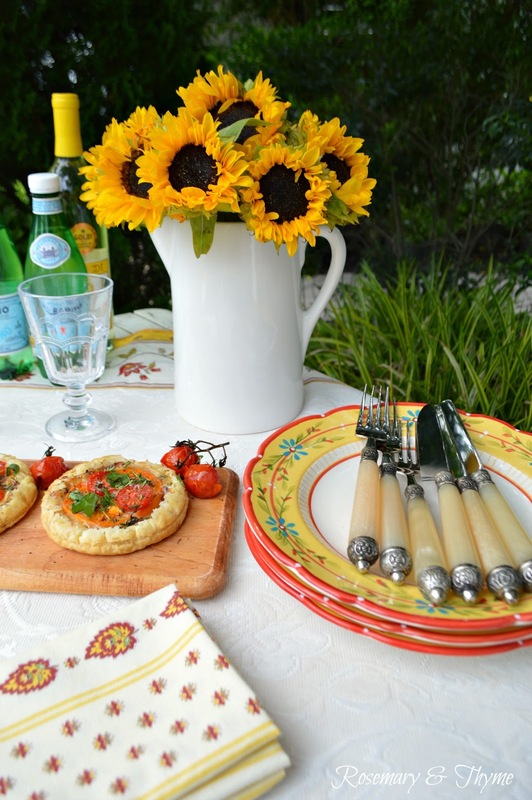 You can serve the tarts with a fresh salad. They will also make for a tasty and quick appetizer in a pinch... ENJOY!!! How can I pin this please? Below is the direct Pinterest link to this post. I hope you give this recipe a try. Janet these are gorgeous and they look delicious! I have been harvesting 30lbs. of heirloom tomatoes out of my garden a week! I was much in need of some new tomato recipes. I will give this a try! They are so pretty. Thanks for sharing at HSH! I will feature this week. This looks so yummy dear friend! Thanks so much for sharing I will pin it to make it soon. I love it when I have a tea party to serve a small entree to my guests and the rest in the table so they can serve themselves. Oh Janet, these look amazing and I look forward to whipping these up over the weekend!! Thank you for sharing at Create, Bake, Grow & Gather this week. I'm delighted to be featuring this project at tonight's party and pinning too!! These look sooooooooo good. Will have try your recipe. YUM!!! These are gorgeous. I love the little individual serving size. Thank you for sharing! 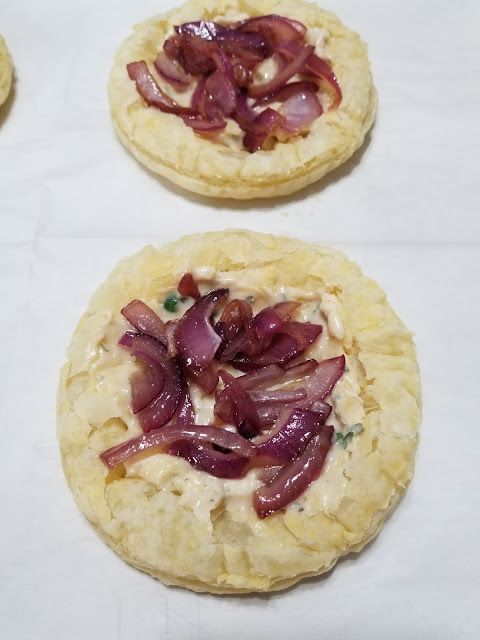 My last encounter with puff pastry didn't go so well but I'm willing to give it a go one more time. 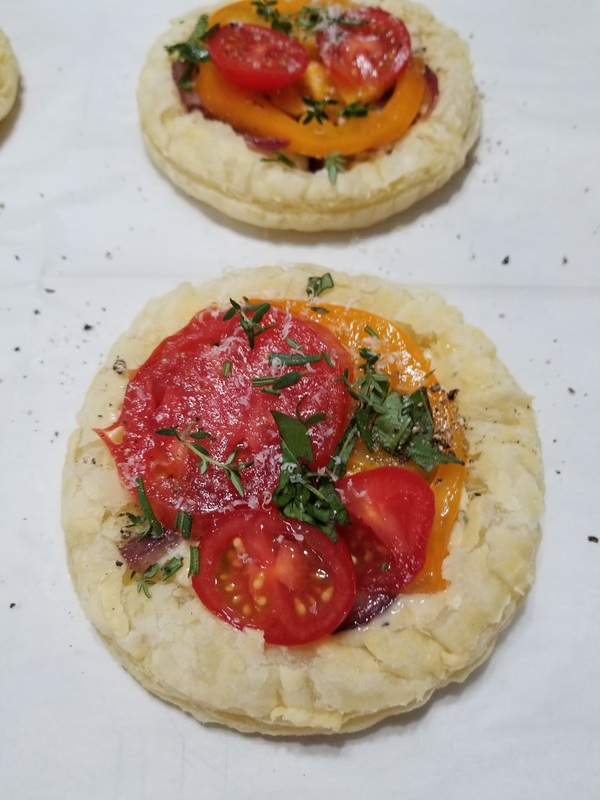 These tarts look perfect and your presentation is always beautiful. Thanks for linking up at Celebrate Your Story and I hope you're having a lovely week.. 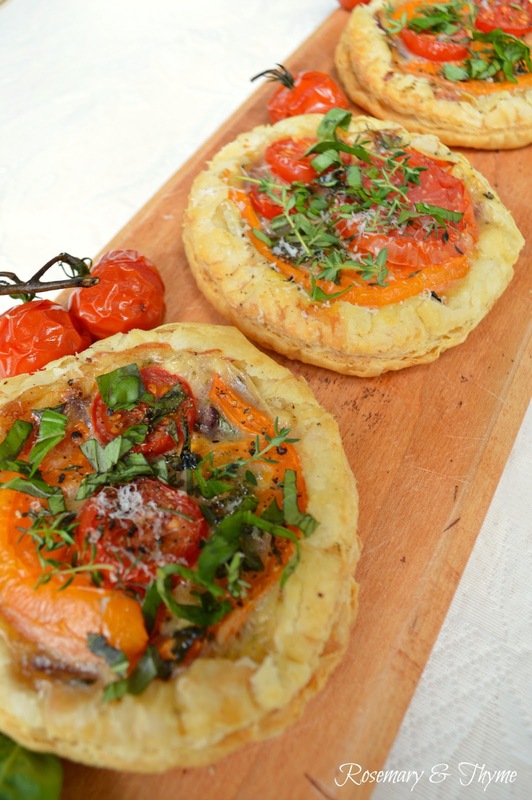 I love using Puff Pastry and this looks like a winner. Hopefully, I can still find a few summer tomatoes.